A nine-foot sculpture depicting the Saudi Arabian flag in the shape of a piece of candy is reportedly being removed from its grounds near the 9/11 memorial in New York City after facing backlash. The Port Authority of New York and New Jersey said they’d relocate the installation, which features the words “There is no god but Allah, and Mohammed is the prophet” in Arabic, after many felt its proximity to Ground Zero and the 9/11 Memorial was insulting and insensitive. Fifteen of the 19 hijackers in the Sept. 11 attack on the United States were Saudi nationalists, although the Kingdom of Saudi Arabia has long denied any involvement. 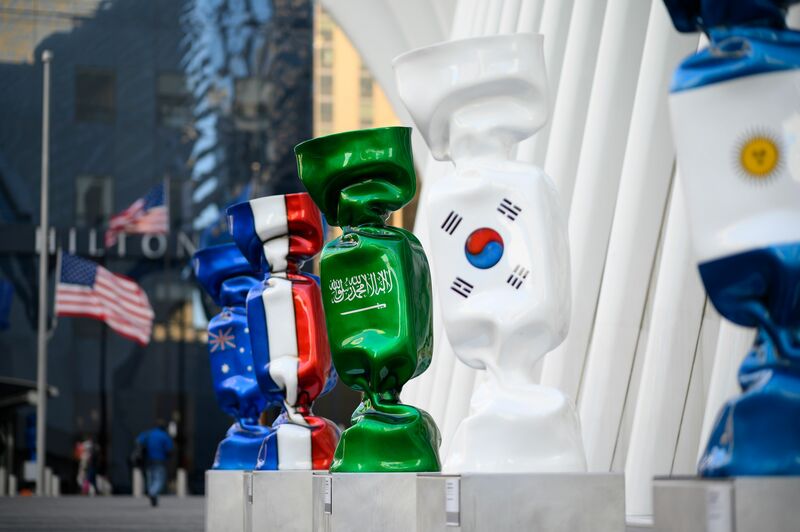 The sculpture is part of a larger installation created by French artist Laurence Jenkell in 2011, titled “Candy Nations,” according to The Observer, and presents countries in the G20 Summit as various candy statues. “I first created flag candy sculptures to celebrate mankind on an international level and pay tribute to People of the entire world,” Jenkell said in a statement after rolling out the installation last week. Many survivors and others affected by the attack were upset and confused with the placement, and are welcoming the decision to relocate the statues to the John F. Kennedy International Airport. Port Authority, which is responsible for installing the exhibit, gave a statement Monday to The Observer saying the statue will be moved sometime this week.